One more year done, and the other is here. Thinking about it, 17 days, or about 5 percent, of 2016 is already complete! Every year brings with it a hope. A hope of it being new (no wonder it is called a new year). A promise of brining in new experiences and some wonderful moments. No wonder again, New Year resolutions are so prominent across the world. Probably, New Year resolutions is the only ritual present across the world, amongst all the different countries, cultures and religions. If New Year is so sacred, I have always wondered why people drown themselves in liquor to bring the year. Are the party revelers so scared of the New Year, that they prefer ringing it in an intoxicated frame of mind? I am not judging here (in fact, I was one of those many drowning bottle over bottle, just a couple of years back), and neither am I passing any moral diktats of what is right and what is wrong? I am just perplexed at this behavior and trying to imagine the reason for this behavior. Is it the work of some marketing genius from some alcohol company? Maybe yes. In promoting this culture, but this ritual has been ages old. If I am not mistaken, there are stories of ancient land, where celebrations (including ringing in New Year’s Eve) is froth with a lot of liquid. Sparkling green liquid of intoxication. I am probably just over intellectualizing it. This probably is just one more day (rather holiday) for the party revelers to party. Just another occasion to throat down a peg too many. And, as long it is harmless, a drink or two never harmed anyone. Did it? (Notwithstanding the fact, that the UK authorities have recently declared that even a single drink a day is harmful and could be eventually carcinogenic). Again, should be left to the individual to decide, in legal standings. A small google search throws many more strange ways of celebrating the New Year’s Eve. Like in Estonia, People eat seven times on the New Year’s Day to ensure abundance in the next year. This is besides the fact, that there are many people I know of who do this on everyday basis. Probably to ensure abundance on a daily basis! For more such acts of strangeness, please be directed here. 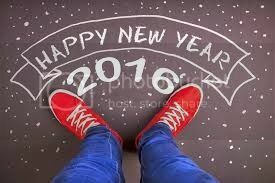 A very very Happy New year 2016. May this year be filled with joy, health and Abundance!